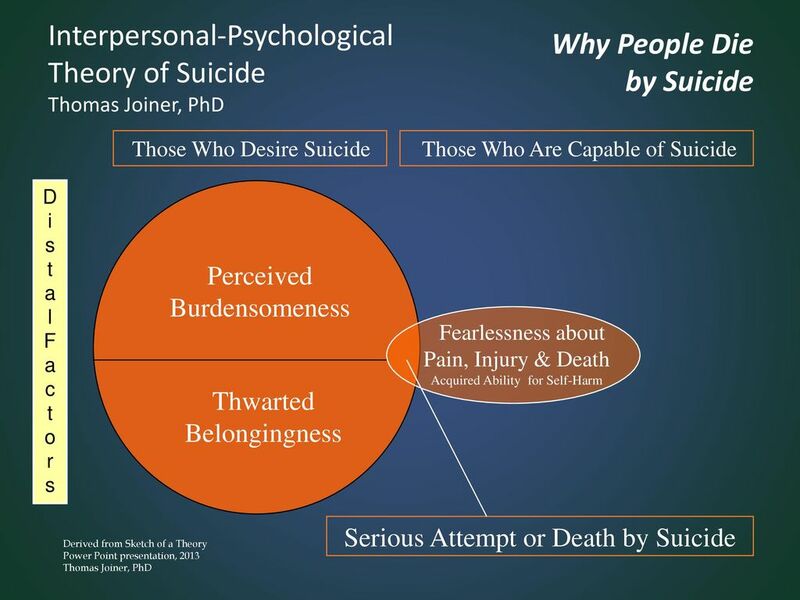 I’m doing the Black Dog Institute’s workshop on Advanced Training In Suicide Prevention this weekend, and came across an article written by Thomas Joiner as part of the pre-reading. He has developed a model from his research that shows that several factors in combination need to be present for someone to attempt suicide – the perception that they are a burden to their loved ones and society; a strong sense of social isolation (or thwarted belongingness); and the ability to hurt themselves – often acquired by a history of self-harm, abuse or previous suicide attempts. These factors are shown in the featured image for this post (above). His video (below) is a recording of a presentation that he did in Israel. It goes for just over 50 mins, and explains his model in more detail, as well as some other aspects of his research that are very interesting. It is well worth the time to watch – especially if you’re a GP with an interest in mental health.